1/2" staple with 1/4" flat crown. 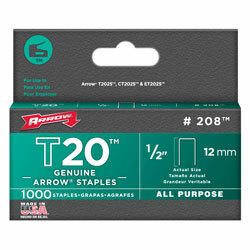 Used with T2025 stapler. 1000 per box.